Duration phrases is used to indicate how long an action occurs. They are time phrases that indicate the length of time that an action occurs. 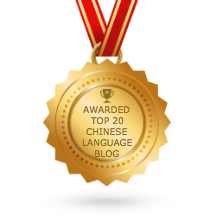 Examples of the duration phrases include : 两天，半年，三个小时，很久，很多天，etc. Unlike English, there is no preposition associated with the expression of duration in Mandarin. Pattern 1: Duration phrases directly follow the verb. 1. He lived in the United States for two years. 2. She was sick for two days. 3. We’ve known each other for ages. 4. They separated after only one year’s marriage. 1. I soaked in the hot tub for an hour. 2. I drove for 5 hours. 3. I slept for ten hours. Pattern 3: The verb repeats twice in the sentence. First it is followed by the object, then it is followed by the duration phrase. 1. She waited for you for one hour. 2. I slept for ten hours. 1. He hasn’t been here for three days. 2. He hasn’t slept for three days. Thanks for the very useful lessons and informations. Thanks for correcting the pinyin. I have made the changes. Ive just been studying the chinese Sentence Structure and Word Order VII. Pattern 3, is this used in specific settings or is it just an option? and why the double??? This is language. It is hard for me to explain the reason why it is double. When you read more, you will automatically use double repeat verb whenever necessary. I understand that subjects like (i, he, she, they, etc.) goes first in the sentence but what about the sentence structures that don’t start with those subjects? There are a few type of Chinese sentence structures. 2. I haven’t slept for three days. should it not be He instead of I in the english translation? or change it to 我? it would be nice to have it in Traditional chinese, actually i recopied most of that to word and translated into Traditional Chinese.